With the publication of volume two of The Adventures of Smoke Wade, we thought now would be as good a time as any to release the last of the pre-Popular Smoke Wade stories. This is the second of the Street & Smith stories to appear in Air Trails, following Smoke debut in the previous issues’ “Wager Flight”. 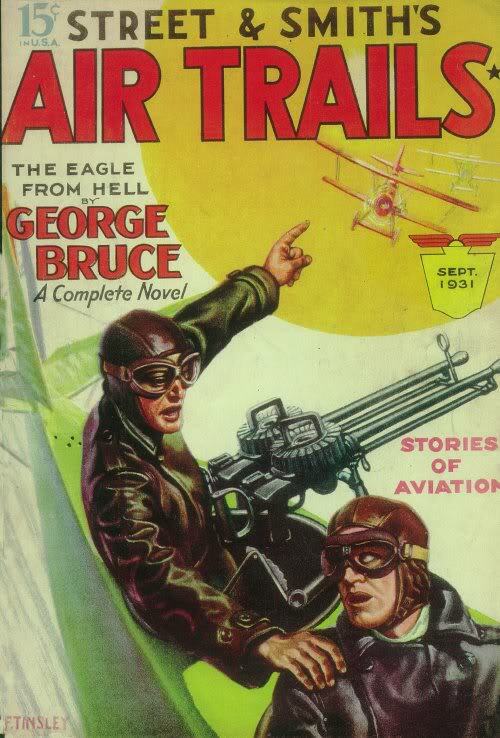 With the wings of a plane, or the bullets of a six-gun, Smoke Wade could cut circles around his enemy.